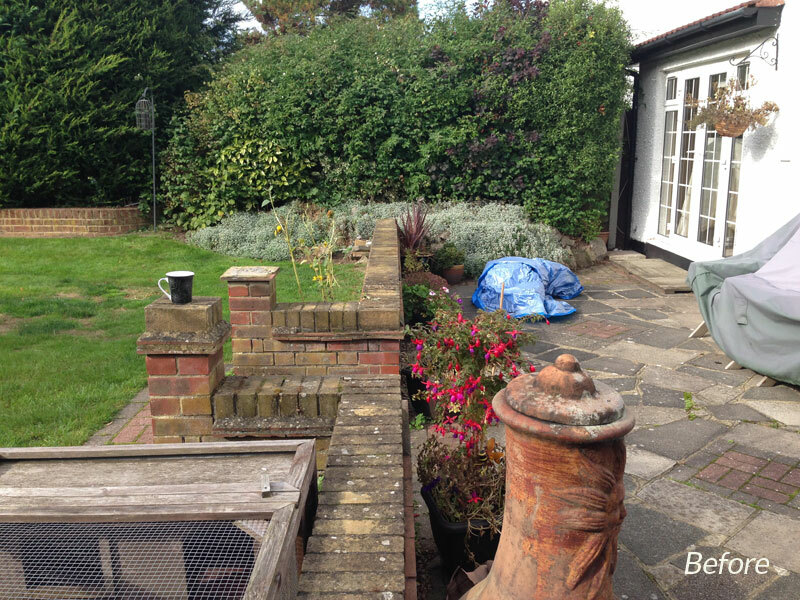 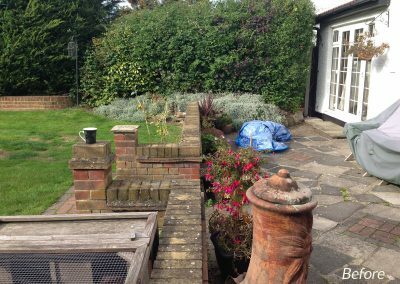 My clients were keen to replace their dated 1970’s terrace/garden for something that was more in keeping with their modern taste. 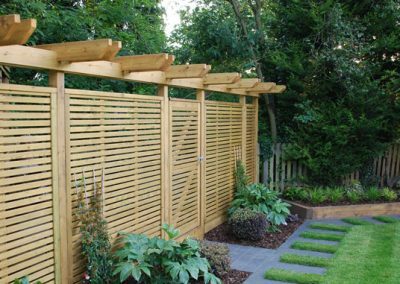 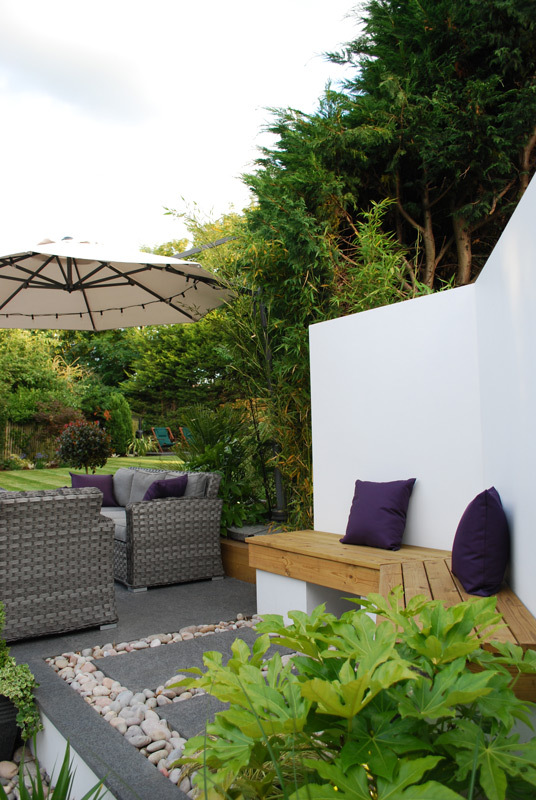 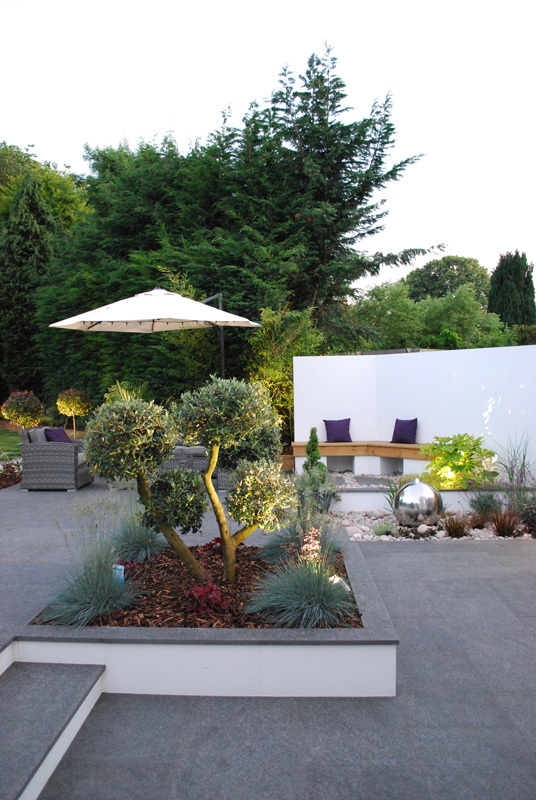 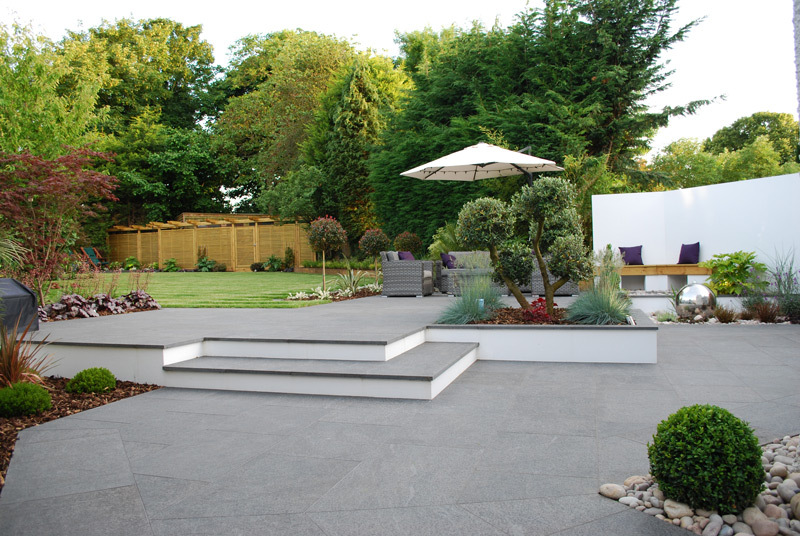 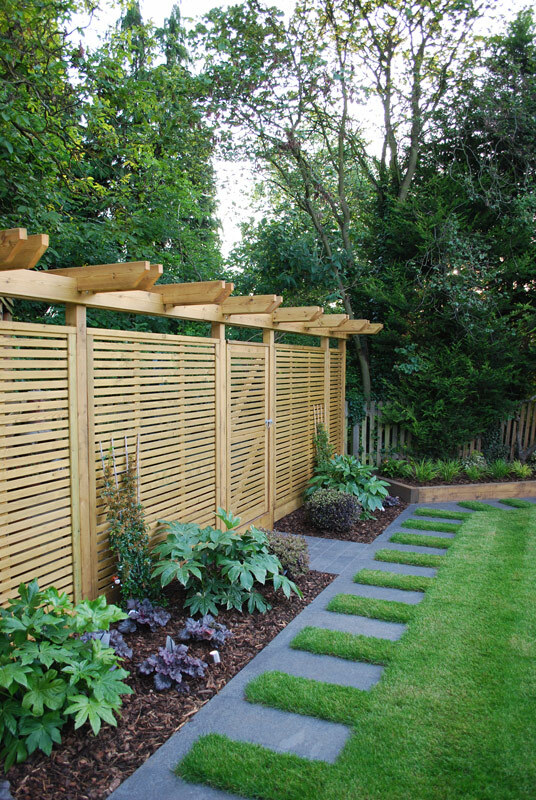 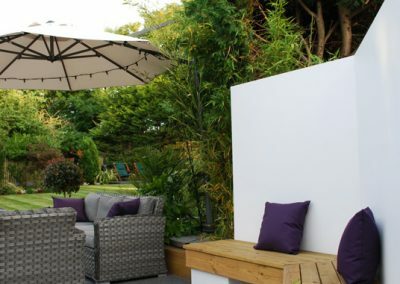 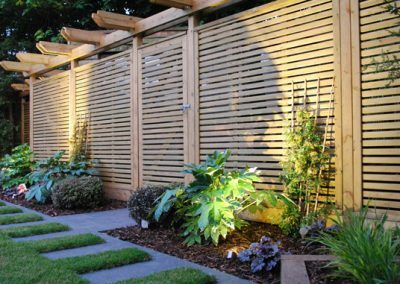 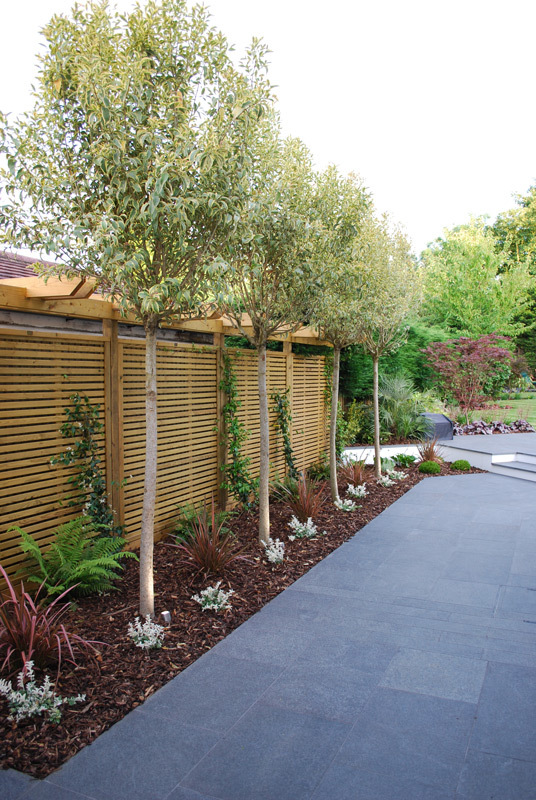 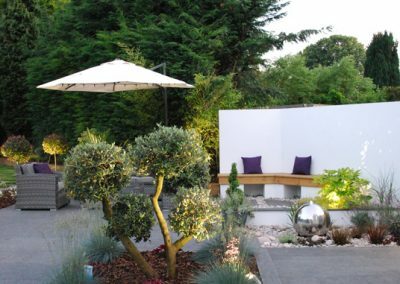 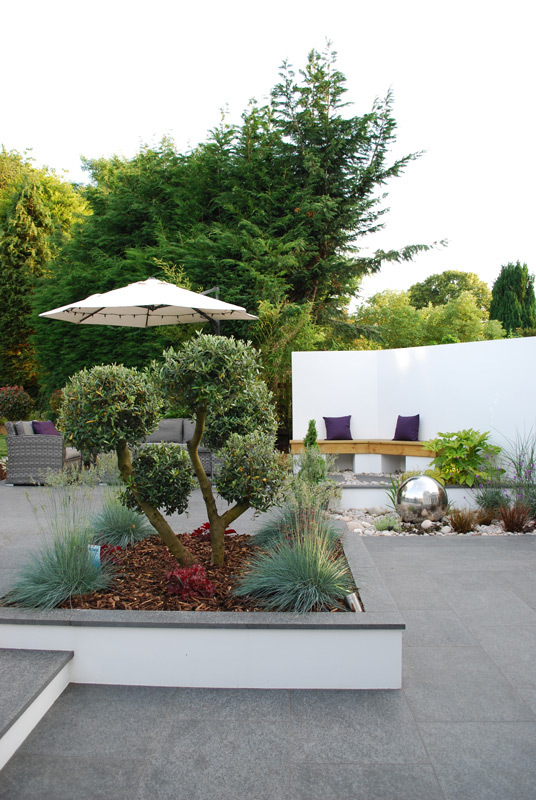 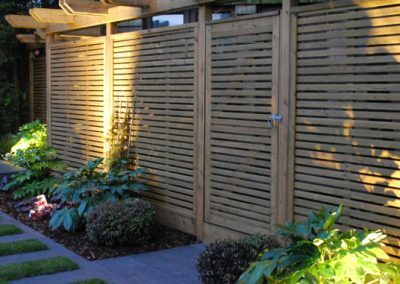 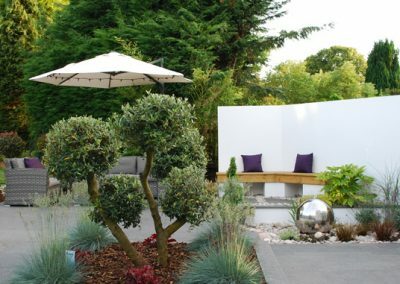 A simple palette of materials were used in this Surrey garden design to create a calming multi levelled terrace which included an area for a dining table, rattan sofa sett and integrated bench. 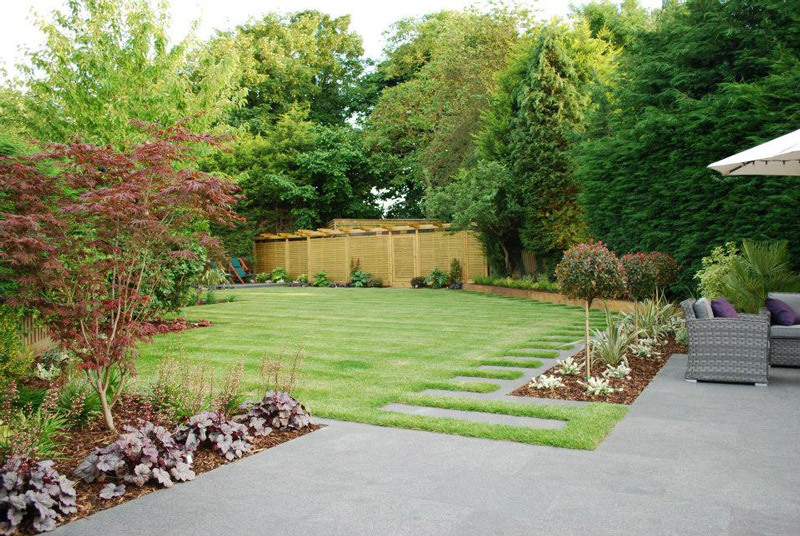 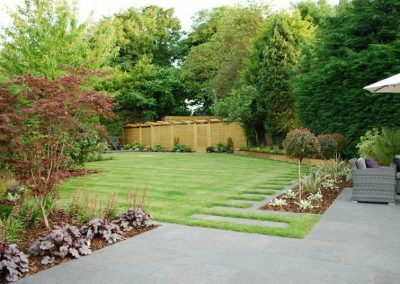 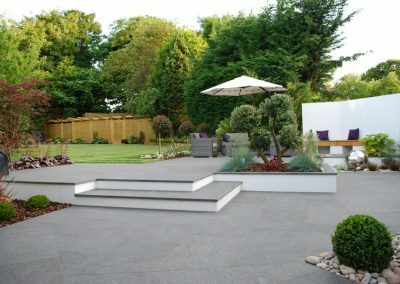 Large Granite stepping stones were laid throughout the newly laid lawn area which lead down to a screened utility/shed area. 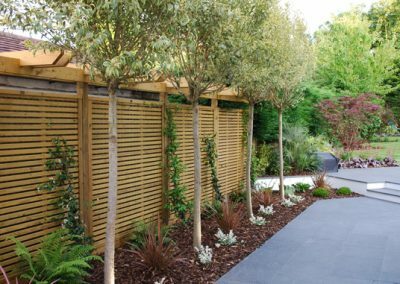 The planting scheme was predominantly evergreen with a small mix of ornamental grasses and perennials to give added seasonal interest. 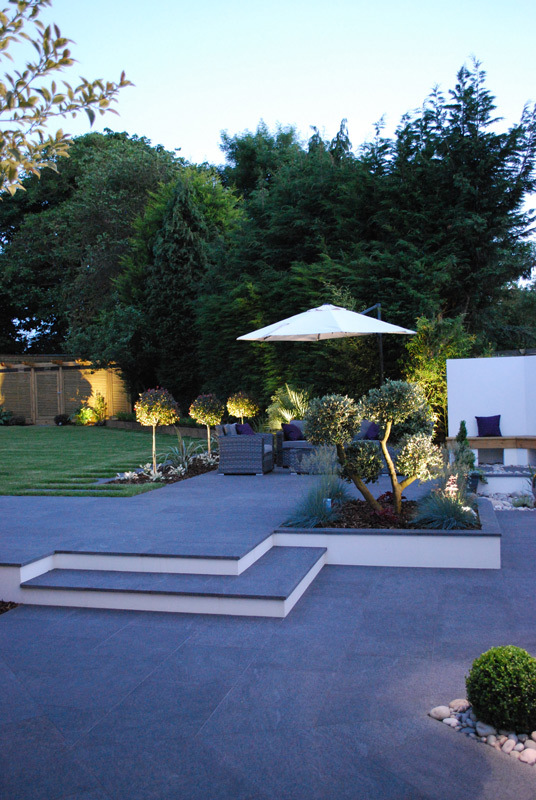 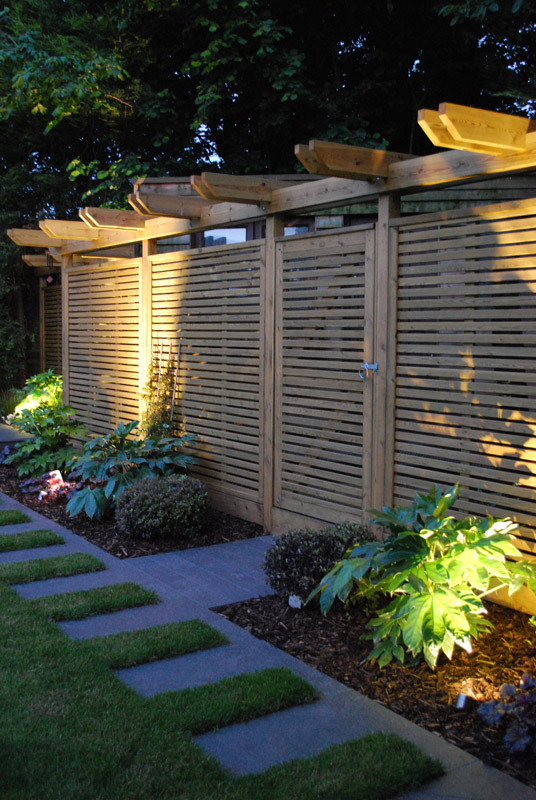 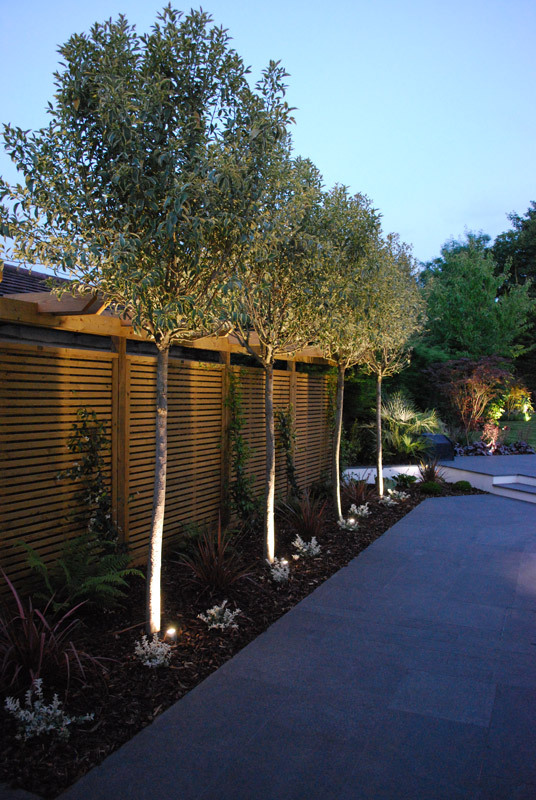 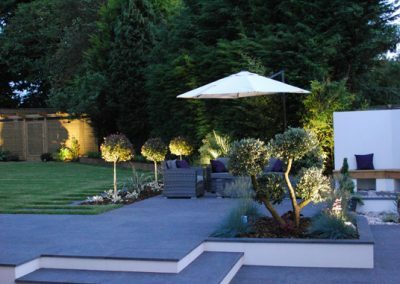 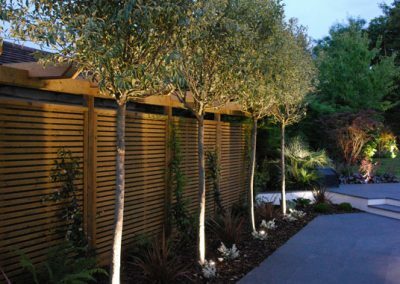 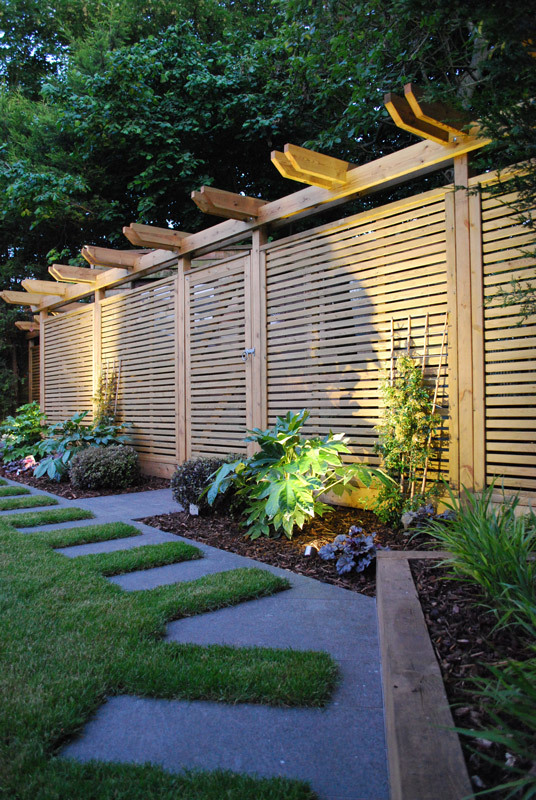 A lighting scheme was designed and installed to facilitate evening entertaining.